This is an original painting created by me, one-of-a-kind, on a high quality stretched canvas, signed, covered with isolation coats* and varnished (glossy finish). The painting is offered without decorative frames - the ones presented on photos are a virtual presentation. However, the sides of the picture are painted, so - if You prefer - it can be hang without framing. The Certificate of Authenticity, signed and dated by me, to guarantee this artwork's provenance, will be included. The painting will be carefully packed and shipped the same business day after receiving cleared payment, as a registered and the first priority mail - Tracking Number Included. * An isolation coat is a transparent layer between finished painting and the varnish. It's an additional protection, as it seals any absorbent areas and creates a physical separation between the varnish and the painting. NOTE: The painting presented on 2 showcase photos (in the living room and on the wall) is NOT scaled. 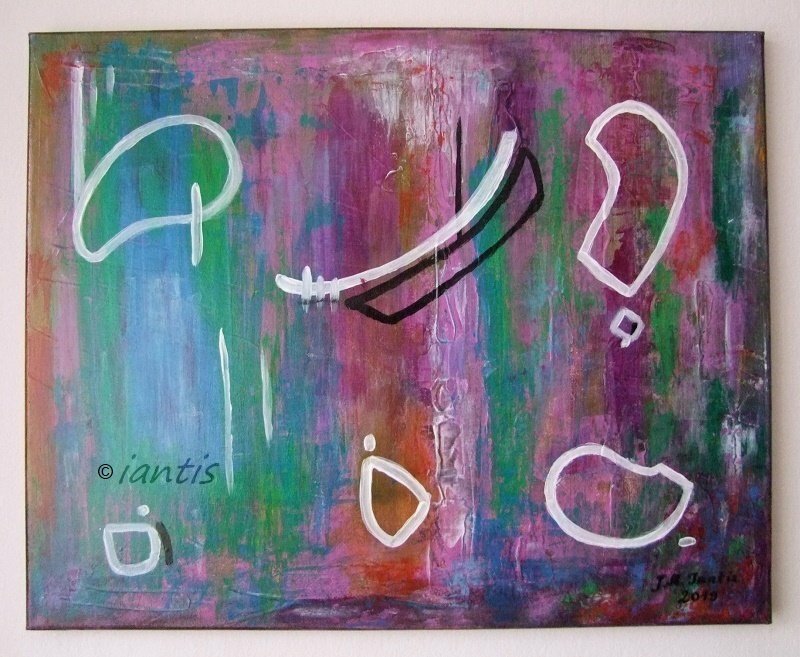 J. M. Iantis - "The Multiple Horizons"